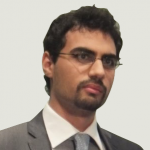 Walid is a senior research associate developing energy systems models. Energy economists are interested in how a change in electricity prices prompts a response by way of end-user power demand. It is difficult to estimate price elasticities statistically if historical prices are low and change infrequently, especially in the short run. 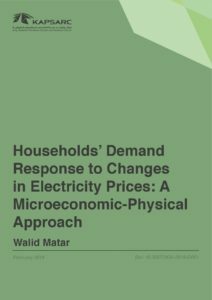 This paper extends a previous analysis by Matar (2018) that explored the merger of a residential building energy model and a utility maximization component by incorporating more demand-reducing measures within a utility-maximization framework for households. The framework is informed by the physical equations that govern how electricity is consumed. The measures considered are: Independently adjusting the thermostat set-point in the spring and fall, and during the peak and off-peak hours in the summer. Turning off lights. Switching off consumer electronics. The study calibrates the physical component for a dwelling in Saudi Arabia. Domestic electricity tariffs in the – tiered – progressive pricing structure were partially raised in 2018. In addition to those increases, the response to other electricity pricing schemes is analyzed: time-of-use and real-time prices. The paper shows that for a household with a low preference for electricity, the 2018 price increases do warrant an adjustment in indoor temperature in the hot summer months and lower electricity use for consumer electronics. For a typical dwelling in Saudi Arabia, the response measure that is most exercised is thermostat set-point adjustments. A subdued response is found for households that have adopted higher energy efficiency or have a high preference for electricity. The Saudi electricity sector buys fuel and sells electricity at prices administered by the government. 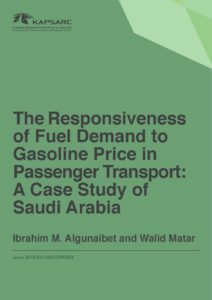 In this analysis, we assume that fuel prices are deregulated — priced at their marginal values or international equivalents — and use a long-term static version of the KAPSARC Energy Model (KEM) for Saudi Arabia. 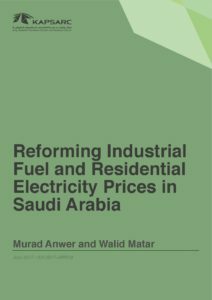 This allows a better understanding of the economic effects of energy price reform packages by providing illustrative estimates of their impacts. We do not propose a specific package of reforms, but seek to show the different channels by which the Saudi economy can benefit. 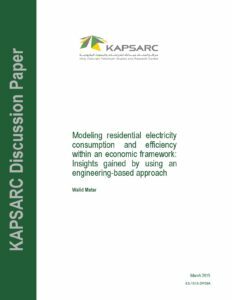 We expand on previous KAPSARC analyses by combining the price reform of fuels used in power plants with the implementation of alternative electricity pricing schemes for households. In particular, we examine the differences between ‘lifeline’, average-cost and marginal-cost electricity pricing policies for residential customers. Intermittent generation from wind or photovoltaics (PV) imposes a cost on the power systems in which they are deployed. These costs vary regionally due to different fuel costs and ramping flexibility of existing grid capacities. With 2015 as a reference year, we examine the costs of PV intermittency and costs of integration to power utilities in Saudi Arabia, using a least-cost approach for the power utilities. The operational facets of PV integration to grid operators will be more pronounced with higher PV penetration, so, to focus on system operation, we exclude the capital costs. The excess of the price paid to new PV generators over the current average consumer tariff would also have to be covered by the utility, and will depend on the details of the power purchase contracts. Empirical estimates of fuel demand changes to price variation are based on historical consumption and prices, and can be applied as a single point estimate to a wide range of price movements. However, if fuel prices are set outside the boundaries of historical changes, policymakers may be concerned as to the validity of the empirically assessed price elasticity. We have developed a transport model to provide a techno-economic estimate of the price elasticity of fuel demand. It incorporates consumers’ choices as a result of several factors, including fuel substitutes, available transport modes, income, value of time and magnitude of price change. Almost all of Saudi Arabia’s electric power generation is fueled by oil and gas. Plans for future capacity envisage nuclear and renewables supplementing this mix and freeing up oil for other revenue-generating opportunities. 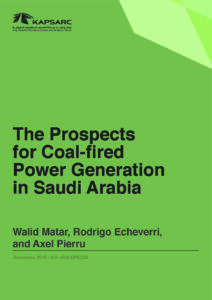 Coal-fired generation has been promoted in some Gulf Cooperation Council (GCC) countries but not, so far, in the Kingdom. Many countries have promoted energy efficiency and conservation in the residential sector due to its significant contribution to total demand. This paper discusses some of the wider implications of more efficient households on the overall energy system. Various efficiency options, such as thermal insulation or weather stripping, have unique effects on the power load demand throughout the day. The load-shifting potential of these measures is highly dependent on regional climate and residence characteristics. Moreover, the operational decisions made by the power sector to meet demand are contingent on the path by which load evolves during the day. Quantifying the intra-day effects of higher efficiency on total load is therefore useful in assessing the changes in equipment and fuel use decisions made by the utilities. Saudi Arabia aims to reduce the growth of its energy demand. This paper outlines an approach that could help the country to reduce substantively its current fuel consumption and could result in a net economic gain without increasing current end consumer prices and while maintaining positive utility sector net cash flows. Using a new multi-sector equilibrium model developed by KAPSARC (the KAPSARC Energy Model or KEM), we estimate the magnitudes of the potential economic gains that different policies would generate. Our long term static version of the model reveals that an annual economic gain exceeding 23 billion USD in 2011, or almost 5% of that year’s GDP, could have been achieved while the water and power sectors continue to live within their cash flows. Our approach—which introduces investment credits for solar and nuclear and allows more natural gas consumption in the power sector—achieves almost all the benefit of raising inter-sector transfer prices for fuels to world market equivalences, but only moderately increases current transfer prices. Importantly, this gain does not require an increase in consumer prices of electricity or water. 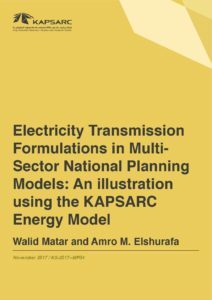 The purpose of this study is to assess policy-relevant effects of incorporating a more proper representation of electricity transmission in multi-sector national policy models. 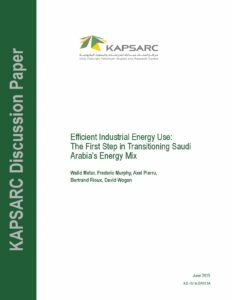 This goal is achieved by employing the KAPSARC Energy Model (KEM), which is the first publicly available large-scale energy policy model for Saudi Arabia. Past studies using KEM have examined industrial pricing policy, residential energy efficiency, the prospects of power generation technologies and residential electricity pricing. 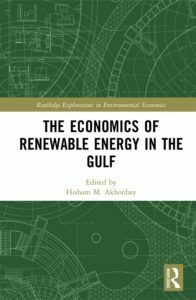 These studies have shown that under certain fuel pricing scenarios, significant renewable energy capacity is deployed. 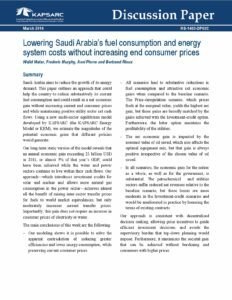 Beyond the end-consumer: how would improvements in residential energy efficiency affect the power sector in Saudi Arabia? 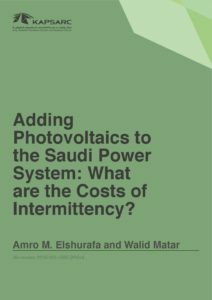 Adding Solar PV to the Saudi Power System: What is the Cost of Intermittency?